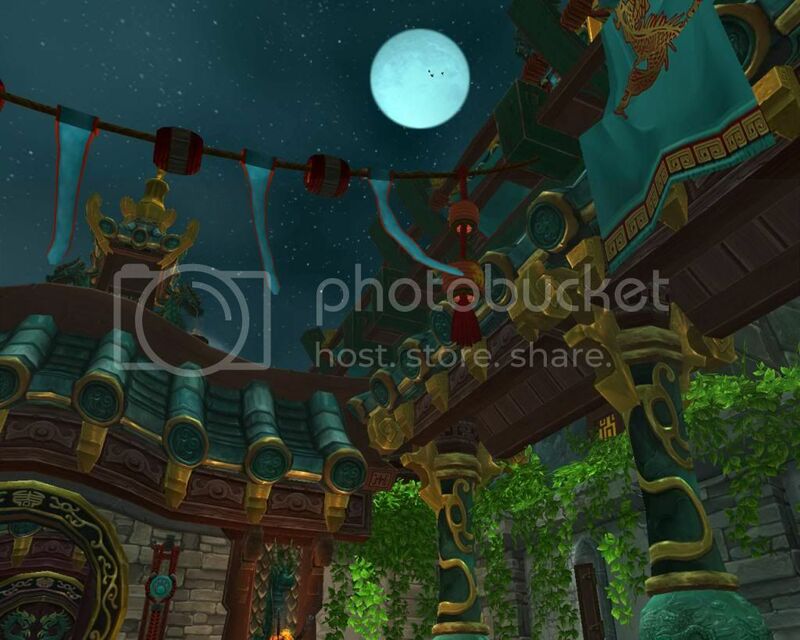 Mists of Pandaria is just so insanely pretty, I love to take pictures of all these colourful and interesting places! This one is from the Temple of the Jade Serpent in the Jade Forest, before the sky becomes clouded and dark because of the Sha’s presence. If only the Horde and Alliance could have kept their war away from Pandaria.. That probably wouldn’t have been very interesting as an expansion, but I want to kick both Varian and Garrosh into certain places for doing that. And I’m fully aware that nothing of this actually exists in the real world.. but I surely wish it would. ._. This entry was posted on Tuesday, July 30th, 2013 at 23:32	and tagged with gaming, Mists of Pandaria, world of warcraft, WoW and posted in Screenshots, World of Warcraft. You can follow any responses to this entry through the RSS 2.0 feed.